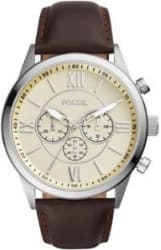 Fossil BQ1129 Analog Watch - For Men - Buy Fossil BQ1129 Analog Watch - For Men BQ1129 Online at Rs.9495 in India Only at Flipkart.com. watches, watch, men s watch, men watch, mens watch, watches men, watches for men, wrist watch, watch boys, best watch, best watches, wrist watches - Great Discounts, Only Genuine Products, 30 Day Replacement Guarantee, Free Shipping. Cash On Delivery!